Curry is a very aromatic spice, more specifically a mixture of spices that originates from Indian cuisine. The most popular dish with its addition is probably a curry chicken.This exotic spice will not only work in the kitchen, when scientific research shows that it also has many properties medicinal products, inter alia has a protective effect on the circulatory system, reduces joint pain, has antibacterial effect, reduces the risk of cancer. Check what other properties curry has. Curry is a spicy condiment, more specifically a mixture of spices, yellow or red. Curry originates from southern Asia and was originally used in Far Eastern cuisines, but nowadays it appears more and more often in European cuisines.The most popular dish with its addition is probably curry chicken The composition of the curry is slightly different from the region and preferences. Taking curry regularly can be beneficial in cancer prevention, stopping their development at an early stage when DNA is damaged. In addition, curcumin reduces the expression of PSA in human prostate cancer cells. Curry is an excellent source of iron, its content in 100 g of this spice almost doubles the daily requirement of an adult, iron is the main component of hemoglobin involved in the transport of oxygen. Curry has a beneficial effect on the lipid profile, it can lower blood cholesterol thanks to fenugreek. In addition, thanks to the presence of cardamom curry, it widens blood vessels, reduces tension in the blood vessels, which results in lowering blood pressure, thus reducing the risk of heart attacks and strokes. Studies have shown that regular curry consumption combined with physical activity reduces fasting glucose in healthy subjects, and in animal studies it has been proven that the active compound curcum-curcumin prevents abrupt changes in blood glucose due to its anti-inflammatory properties. Turmeric curry has beneficial effects on curry for people with Alzheimer’s. Elderly people regularly eating curry have better cognitive functions. Curcumin (curcumin active) has neuroprotective, anti-amyloid and anti-inflammatory action. 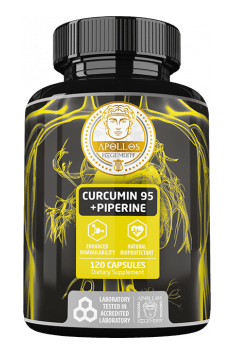 Curcumin stimulates the proliferation of nerve cell progenitor cells and modulates levels of neurotransmitters -serotonin and dopamine. Curry accelerates bone mineralization, reduces bone loss and accelerates bone regeneration after fractures. This effect determines the curcuma and minerals contained in the curry.